The best free search enhancement tool... EVER! Buzzdock is 100% free and ad-supported. Learn more here. Enhances results on over 40 top search sites. 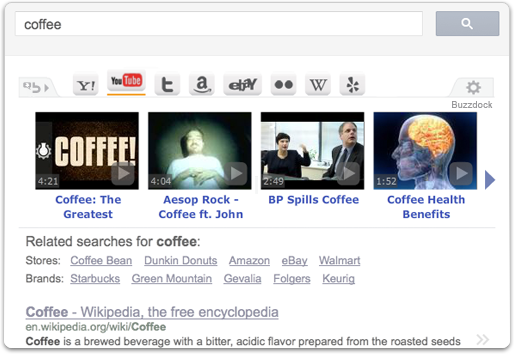 Personalize your search with results from your favorite sites. Quickly browse web results from major sites without having to visit each site.